Iredell Museums offers a wide variety of programs for visitors of all ages and programs are always being added! For a schedule of upcoming events, please click HERE! 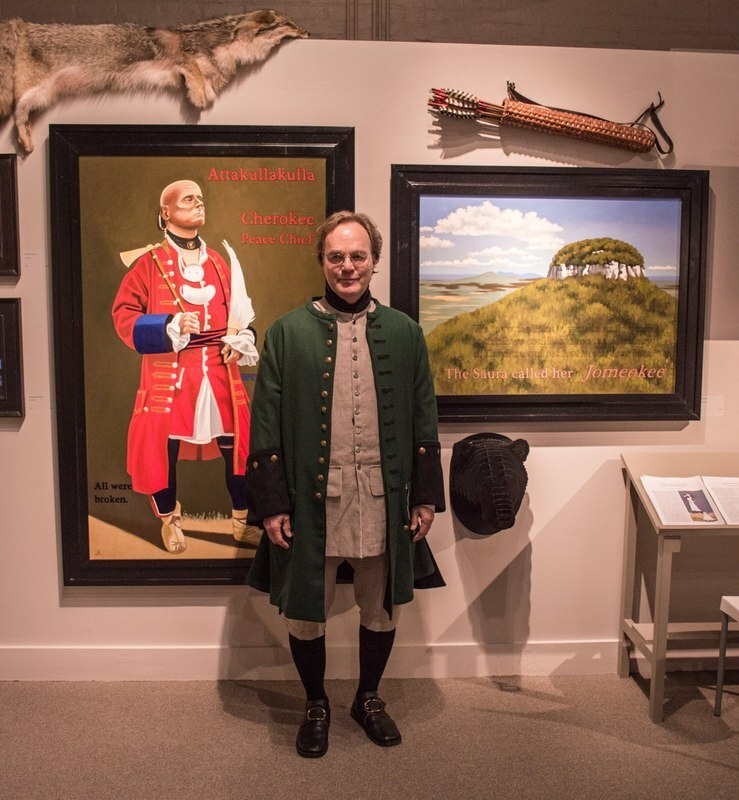 Pictured Above: Robert Alvin Crum in reproduction attire at the opening of "Return to the Land of My Ancestors". Pre-k programs are offered once a month on the Fourth Friday of every month (barring holidays) at 10:30am. Each program includes 1 or 2 hands-on activities to encourage the growth of sensory and motor skills plus a story time. Programs are appropriate for children ages 18 months to 5 years. Cost: $6 for 1 child + 1 adult, $5 for each additional child. Free for Members! Living History programs are offered regularly on Saturdays at Gregory Creek Homestead. These programs transport visitors to the 18th and 19th century backcountry of North Carolina through live educational interpretation. Experience kitchen life, play common children's games, listen to music, and peek inside the historic cabins! Cost: FREE! Donations greatly appreciated! We host several authors, historians, and reenactors for evening lecture programs. These events are a great opportunity to learn more about the history of our area from the experts! Each speaker will be available for a question & answer session after their talk.